The following is an excerpt from Origen's Treatise on Prayer. After thus interpreting the benefactions which have accrued to saints through their prayers, let us turn our attention to the words "ask for the great things and the little shall be added unto you: and ask for the heavenly things and the earthly shall be added unto you." All symbolical and typical things may be described as little and earthly in comparison with the true and the spiritual. And, I believe, the divine Word, in urging us on to imitate the prayers of the saints, speaks of the heavenly and great things set forth through those concerned with the earthly and little, in order that we may make our requests according to the reality of which their achievements were typical. He says in effect: Do you who would be spiritual ask for the heavenly and great, in order that obtaining in them heavenly things you may inherit a kingdom of heaven, and as obtaining great things you may enjoy the greatest blessings, while as for the earthly and little that you require by reason of your bodily necessities, your Father will supply them to you in due measure. 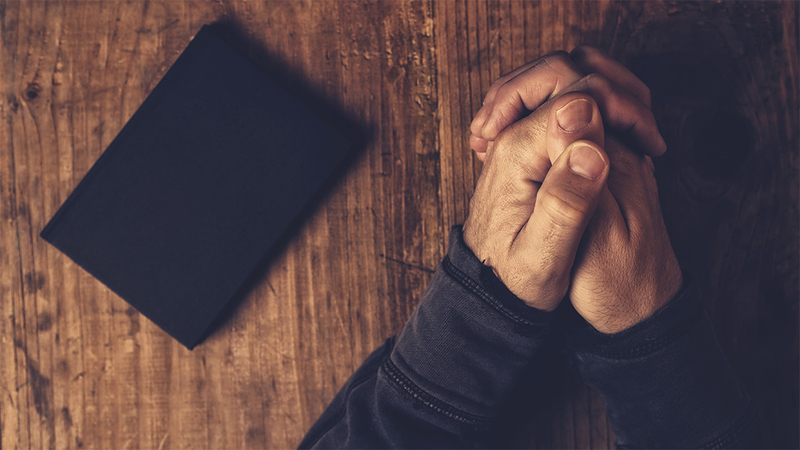 In the first Epistle to Timothy the Apostle has employed four terms corresponding to four things in close relation to the subject of devotion and prayer. It will therefore be of service to cite his language and see whether we can satisfactorily determine the strict meaning of each of the four. He says, "I exhort therefore first of all that requests, prayers, intercessions, thanksgivings be made on behalf of all men," and so on. Request I take to be that form of prayer which a man in some need offers with supplication for its attainment; prayer, that which a man offers in the loftier sense for higher things with ascription of glory; intercession, the addressing of claim to God by a man who possesses a certain fuller confidence; thanksgiving, the prayerful acknowledgment of the attainment of blessings from God, he who returns the acknowledgment being impressed by the greatness, or what seems to the recipient the greatness, of the benefactions conferred. Of the first, examples are found in Gabriel's speech to Zachariah who, it is likely, had prayed for the birth of John: "Fear not, Zachariah, because your request hath been heard and your wife Elizabeth shall beget you a Son and you shall call his name John;" in the account in Exodus of the making of the Calf: "And Moses made request before the Lord God, and said: To what purpose, Lord, art you in anger wroth with your people whom you hast brought out of the land of Egypt in great might?" In Deuteronomy: "And I made request before the Lord a second time even as also the former time forty days and forty nights bread I ate not and water I drank not for all your sins that you sinned;" and in Esther: "Mordecai made request of God, recalling all the works of the Lord, and said; Lord, Lord, King Almighty," and Esther herself "made request of the Lord God of Israel and said: Lord our King." Of the second, examples are found in Daniel: "And Azariah drew himself up and prayed thus, and opening his mouth amid the fire said . . . ;" and in Tobit: "And with anguish I prayed saying, 'Righteous art you, O Lord, and all your works; all your ways are mercy and truth, and judgment true and righteous dost you judge forever.'" Since however, the circumcised have marked the passage in Daniel spurious as not standing in the Hebrew, and dispute the Book of Tobit as not within the Testament, I shall cite Hannah's case from the first book of Kings. "And she prayed unto the Lord, and wept exceedingly, and vowed a vow, and said, 'O Lord of Hosts, if you will indeed have regard unto the humiliation of your bondmaid,'" and so on; and in Habakkuk: "A prayer of Habakkuk the prophet, set to song. O Lord, I have hearkened to your voice and was afraid; I did mark your works and was in ecstasy. In the midst of two living beings you shall be known; as the years draw nigh you shall be fully known;" a prayer which eminently illustrates what I said in defining prayer that it is offered with ascription of glory by the suppliant. And in Jonah also, Jonah prayed unto the Lord his God from the belly of the monster, and said, "I cried in my affliction unto the Lord my God, and he heard me. You heard my wail from the belly of death, my cry; you flung me away into the depths of the heart of the sea, and streams encircled me." Of the third, we have an example in the Apostle where he with good reason employs prayer in our case, but intercession in that of the Spirit as excelling us and having confidence in approaching Him with whom He intercedes; for as to what we are to pray, he says, "as we ought we know not, but the Spirit Himself more than intercedes with God in sighs unspeakable, and He that searches hearts knows what is the mind of the Spirit because His intercession on behalf of saints is according to God;" for the Spirit more than intercedes, and intercedes, whereas we pray. What Joshua said concerning the sun's making a stand over against Gabaoth is, I think, also intercession: Then spake Joshua to the LORD in the day when the LORD delivered up the Amorites before the children of Israel, "Here spoke Joshua to the Lord in the day when God delivered up the Amorites before the children of Israel, and he said in the sight of Israel, Sun, stand thou still upon Gibeon; and thou, Moon, in the valley of Ajalon;" and in Judges, it is, I think, in intercession that Samson said, "Let my soul die together with the aliens" when he leaned in might and the house fell upon the princes and upon all the people in it. Even though it is not explicitly said that Joshua and Samson interceded but that they said, their language seems to be intercession, which, if we accept the terms in their strict sense, is in our opinion distinct from prayer. Of thanksgiving an example is our Lord's utterance when He says: "I make acknowledgment to you, O Father, Lord of heaven and earth, that you did hide these things from the wise and understanding and reveal them to infants;" for I make acknowledgment is equivalent to I give thanks.